Op maandag 22 november zijn twee Aramese broers in Mosul door de terroristen vermoord. Het gaat om West- Aramese Syrisch Katholieke broers Saad Hanna, 43, en Waad Hanna, 40 jaar oud. Het Aramese bloed in Irak blijft onverminderd vloeien. Niemand schijnt in staat om dit te stoppen. De Arameeërs beschouwen niemand als hun vijand en willen graag in vrede met andere volkeren leven. De terroristen hebben hieraan geen boodschap. Ze willen Irak zuiveren van de Aramese Christelijke bevolking. De Arameeërs zijn het inheemse bevolking van Irak en leven sinds duizenden jaren in dit deel van de wereld. Door de inval van de Amerikanen in 2003 in Irak, worden de Arameeërs bedreigd met uitroeiing. De Arameeërs hebben geen eigen militie om zich te verdedigen. Ze zijn aangewezen op de bescherming van de centrale overheid. Deze is niet toereikend waardoor de terroristen erin slagen de Aramese bevolking te vermoorden. De Arameeërs bestaan uit diverse denominaties en zijn vooral geconcentreerd in Bagdad en het noorden van Irak. Er wordt geschat dat er rond 300.000-400.000 Arameeërs nog in Irak zijn. Op 31 Oktober 2010 vielen de terroristen de Aramese Katholieke kerk in Bagdad binnen en doodden na gevechten met de veiligheidstroepen meer dan 52 Aramese mannen, vrouwen en kinderen. 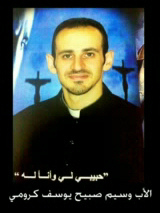 Onder de vermoorde Arameeërs waren de twee priesters van de kerk, Sabih Yousuf Khroom en Thaer Saad'ila Boutros. De dodental is inmiddels opgelopen tot 68 mensen. Terroristen richten ravage aan in de Aramese kerk in Bagdad. Woensdag 10-11-2010: 5 Arameeërs werden in Bagdad gedood door autobommen en mortier granaten. Dinsdag 16-11-2010: Een Aramese christen en z’n 6 jarige dochter komen om bij een bomaanslag in Mosul. Maandag 15-11-2010: Terroristen vallen twee Aramese Christelijke huizen binnen in Mosul en doden twee mensen. Maandag 22-11-2010: Terroristen vermoorden twee Aramese broers in Mosul. Het lijkt inderdaad erop dat de Islamitische terroristen hun dreigementen verwezenlijken. En daar lijken ze vooral te hebben gemunt op het vergieten van het Aramese bloed. Waarom gebeurt dit toch met ons? Waarom wordt ons volk gediscrimineerd, gedood en uit de inheemse gebieden van z’n voorvaderen weggejaagd? Waarom O waarom? Waarom heeft de Here God de vreselijke gebeurtenissen van de Aramese Katholieke Kerk in Bagdad op 31 oktober 2010 toegelaten? Waarom heeft de Here God dit niet tegengehouden? Waarom heeft de Here God geen actie ondernomen tegen de genocide van 1914? Waarom laat de Heer het verkrachten van onze moeders en dochters en het vermoorden van onze jonge zonen toe? Wat is de redden voor ons Diaspora? 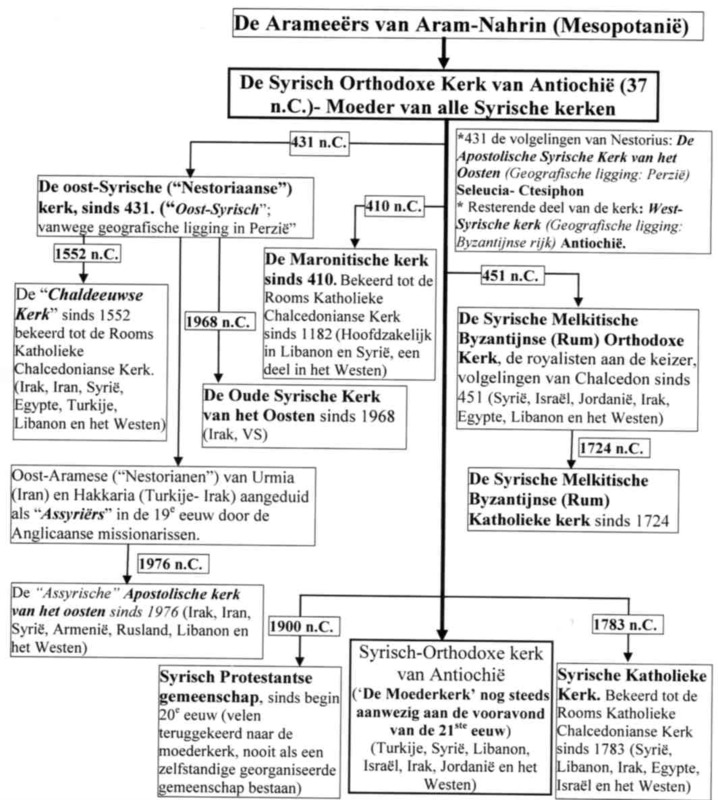 Waarom laat de Here God de rechtzaken tegen het Aramese klooster St. Gabriel in Turkije sinds 2008 toe? Wat is er aan de hand? Is onze God een zwakke God die niet in staat is om Satan te verslaan? Of.... of.... is er iets anders aan de hand? Moraal van het verhaal: Niets gebeurt zonder reden! BAGHDAD – Gunmen shot and killed two Christian brothers Monday in a northern Iraqi city in the latest in a spate of attacks targeting the religious minority, Iraqi police said. Christians have been fleeing Iraq amid a series of attacks against them by militants who have vowed a campaign of violence against the country's Christian minority. In the most serious attack, 68 people died after a group of militants with explosives strapped to their bodies held about 120 people hostage in a Baghdad church last month before Iraqi authorities stormed the building. Mosul, 225 miles (360 kilometers) north of Baghdad is home to a sizable Christian population that has repeatedly come under attack from Sunni militants who view Christians as nonbelievers. Brothers Saad and Raad Hannah were working in their auto mechanic shop in Mosul when gunmen burst in and shot them dead before fleeing, police said. A local hospital worker confirmed the deaths. The officials spoke on condition of anonymity because they were not authorized to talk to the media. Last week, two Christians in Mosul were sitting in their living room when gunmen burst into the house and shot them. That same night a house belonging to a Christian family in a different neighborhood of the city was also bombed, although no one was killed in that incident. Earlier this month, five people were killed during a series of coordinated bombings targeting Christian homes and neighborhoods in Baghdad. 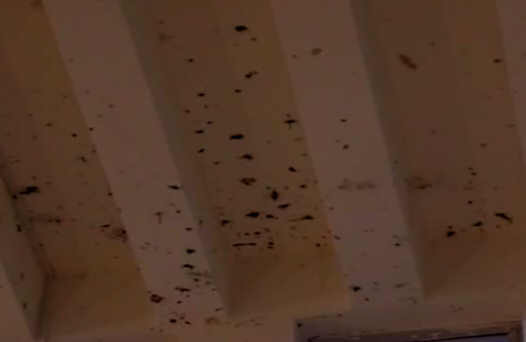 Those attacks came after Iraqi authorities beefed up security at churches across Baghdad in response to the hostage crisis. The attacks against Christians have drawn international condemnation, and some countries in Europe have flown Christians wounded in the church attack out of Iraq for medical treatment. 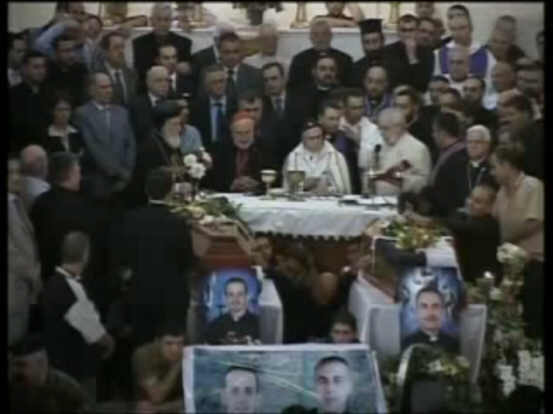 But Iraqi church officials have also pleaded with the Christian minority to not be driven out of their homeland. 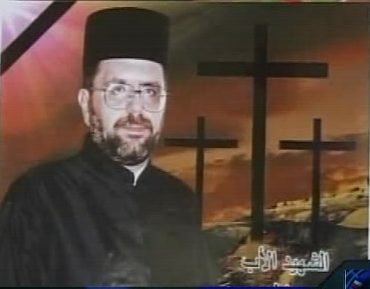 Nineveh, Nov. 22 (AKnews) - A source in the Iraqi Interior Ministry, stated on Monday, that two Christian brothers were killed by unidentified gunmen, west of Mosul, the incident that shows the continuation of the attacks against Christians in the country after the incident of the Sayida al-Najat (Lady Salvation) Church. The source who preferred to remain unknown told AKnews, that the unknown gunmen shot dead the two brothers in the Wadi Keaab neighborhood, while they were heading to work, security forces cordoned off the area while the gunmen fled to an unknown destination. 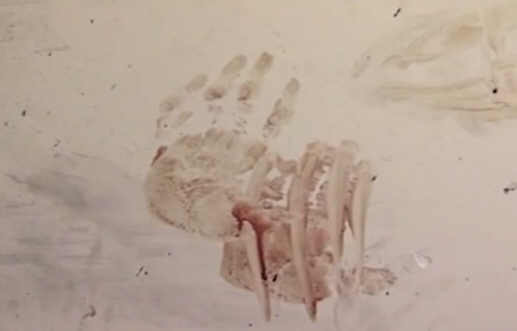 The incident comes about a week after the killing of the other two Christians in Mosul, when an armed group stormed into a house in al-Zahraa area, and shot dead the house owner and his neighbor. 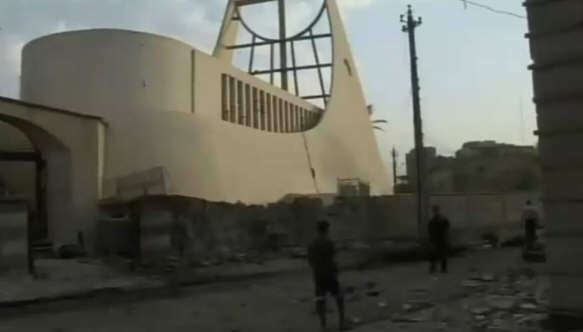 The Lady Salvation church at the center of Baghdad was attacked last month where tens of civilians were killed and wounded, in addition to eight of the nine militants that controlled the church, while the last one blew himself ou,t when the security forces stormed the church. Al-Qaeda threatened the Christians of an opened war, prompting many Christian families to leave their homes and move towards the Kurdistan Region provinces, in fear of being targeted. Iraq’s Christian community comes under attack, again. Gunmen shoot and kill two shop owners in cold blood. 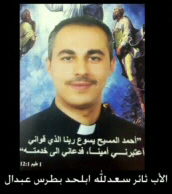 Iraqi Christians issue an appeal: “Pray for us persecuted Christians”. Baghdad (AsiaNews) – Anti-Christian violence and persecution continue in Iraq. Two days after a Christian home was attacked in Mosul (northern Iraq), two Iraqi Christians were killed in the city’s Sina’a neighbourhood. This is the latest incident in a surge in violence that has hit the Christian community hard in the past few weeks. 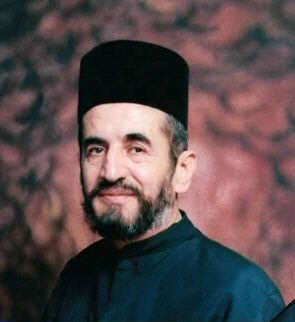 The bloodiest episode occurred on 31 October when an al-Qaeda affiliated commando stormed the Syriac-Catholic cathedral of Baghdad during Mass. Almost 60 people were killed, including 44 worshippers and 2 religious. For al-Qaeda, Christians are “legitimate targets”. Baghdad, Iraq (CNN) -- Three people were killed Monday in Iraq in the latest attack targeting Christians, police in the city of Mosul said. 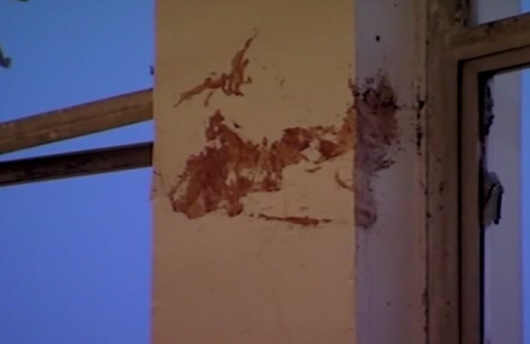 In one attack, two Christian brothers were killed in Mosul when gunmen broke into their workplace in an industrial part of the city and shot them. The brothers were welders who owned the shop. Iraq's Christian community, which numbered 1.4 million in 2003, is estimated to have dwindled to 500,000 as many have left the country, the U.S. Commission on International Religious Freedom has said. 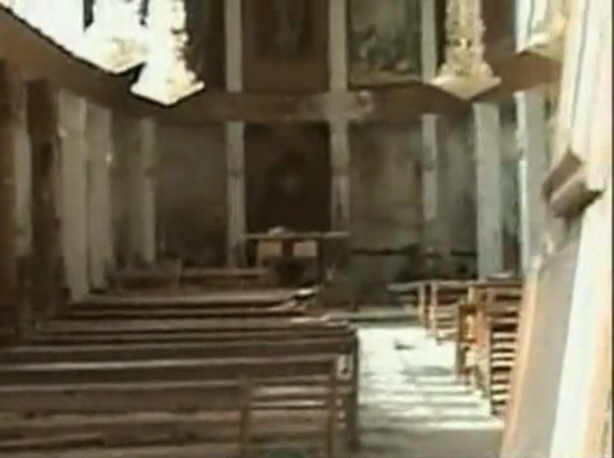 The commission, a U.S. government agency that listed the numbers in its 2010 report, said Christian leaders are warning that this decline could signal "the end of Christianity in Iraq." (CNN) -- She lives in a paralyzing state of "constant and fear" and it's forcing her to keep her children indoors and out of school. That's how one Baghdad woman describes the dire predicament faced by her and other Iraqi Christians, a dwindling community that is enduring another string of anti-Christian sectarian assaults in Baghdad and in Mosul. The woman, who didn't want to be identified because of fear for her life, said security hasn't been beefed up since the assaults began on October 31, when the Sayidat al-Nejat Cathedral, or Our Lady of Salvation Church, was attacked. 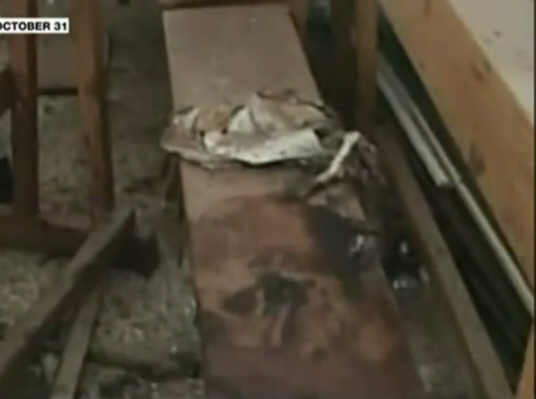 "We only have God," said the woman, who lost a family member in the church attack. "God is the only one watching over us." Her words reflect the fears across the world of the ancient Iraqi Christian community, a people that numbered 1.4 million people in 2003, before the war in Iraq, and is estimated to now be only 500,000, the U.S. Commission on International Religious Freedom said. USCIRF, a U.S. government agency that listed the numbers in its 2010 report, said Christian leaders are warning that the result of this decline could signal "the end of Christianity in Iraq." In a country of more than 29 million people, Christians and other minorities are relative specks in a population where 97 percent are Muslim -- 60 to 65 percent Shiite and 32 to 37 percent Sunni, the CIA World Factbook said. As sectarian violence raged during the war, Iraqis of all religions have fled for other countries. But a disproportionate number of Christians have landed in Lebanon, Syria and Jordan, the three main countries of refuge. Sybella Wilkes, a spokeswoman at the U.N. High Commissioner for Refugees, said the overall Christian population in Iraq is 1 1/2 to 2 percent. But, she said, the number of Christians registered in those three countries are 11 to 15 percent of the overall population of Iraqi refugees. The UNHCR says on its website that the total number of Iraqi refugees in the world stood at nearly 1.78 million in January. David Nona, chairman of the Chaldean Federation of America, says the news is "getting worse" and he is hearing and reading about a siege mentality among his fellow Christians in Iraq -- not going outside and not opening the door for people, for example. "People are truly terrified," said Nona, whose Chaldean community in the Detroit area -- about 140,000 or so people -- has hosted an influx of about 25,000 Chaldo-Assyrians over the past three years. Nona said many people who have been able to flee over the years have had the wherewithal to do so and those who remain might not have the means and connections to get out. The people there not only live in fear, but they can't work or send their children to school. And people of marrying age can't find partners. 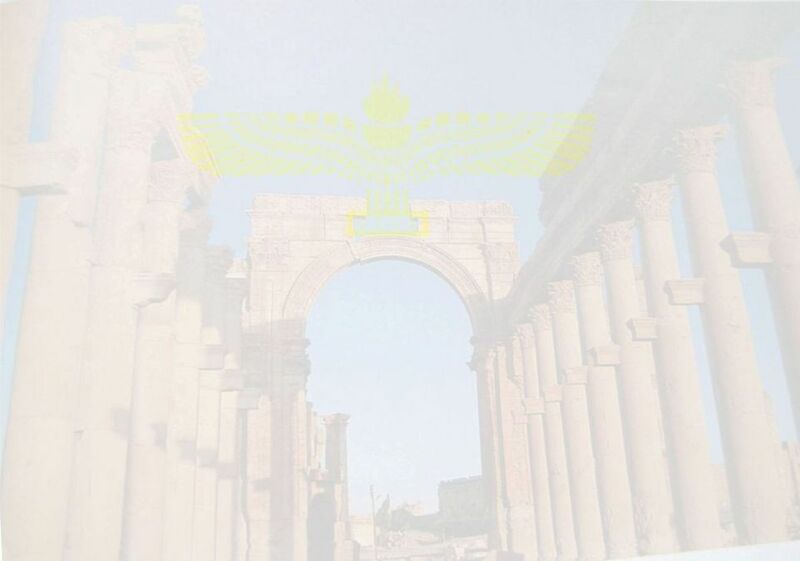 There have been proposals for special regions for minorities, such as an autonomous region in the Nineveh Plains in northern Iraq, where many Christians live. 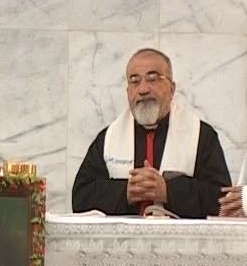 The three-province Kurdish regional government has welcomed Christians. But for many, Nona says, there's "no hope." 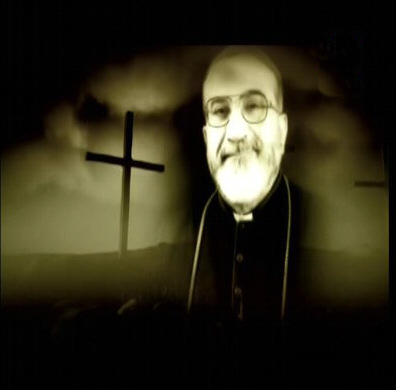 "It is very ironic that the last legacy of this war in Iraq, which was intended to change hearts and minds in the Arab and Islamic world toward the West is bringing about the extinction of one of the oldest Christian communities in the world," he said. "Right now, we are facing an existential problem." Nona believes that the political stalemate in Iraq since elections in March has affected the sectarian violence. Kurds, Shiite and Sunni Arab lawmakers have been working to salvage a power-sharing agreement and a new government is in the process of formation. "Right now, the fact is, there has not been a government. There is no control. There is no security. Americans are leaving. The terrorists want to remind the government and the world that the situation is not as secure as the administration and media would like it to be," he said. "A lot of people think the Iraq war has been won and we have won," he said. "That's the farthest from the truth." The Islamic State of Iraq, suspected of ties to al Qaeda in Iraq, claimed responsibility for the church attack, and many religious, ethnic and political factors could be at play in the violence. Anti-Christian sentiment has flared up amid the sectarian hatreds in Iraq. Christians, who have interacted well with Muslims in years past, have been seen as pro-Western and their businesses, such as liquor stores, had to be closed. Like many in the Iraqi Christian diaspora, Waiel Hindo, director of administration and finance in IT services at the University of Chicago, follows the developments about his fellow Christians in Iraq. He said the minute he heard the news, he thought that militants possibly could have been reacting to the Quran-burning threat by a pastor in Florida. That threat was called off in September, but it inflamed many people in the Muslim world. "Anytime someone insults one religion, the other religion retaliates," Hindo said. Nona believes security forces guarding the Sayidat al-Nejat Cathedral may have played a role in allowing the attack since many checkpoints were set up at the church. Hindo believes security was relaxed. "Not in my wildest dreams did I think they were going to go to that church," said Hindo, who noted that churches are many times soft targets and Christians don't carry guns. Nona pointed out that Christians don't have militias as Muslim groups do. The attacks that started in Baghdad have spread to the northern Iraqi city of Mosul in Nineveh province. 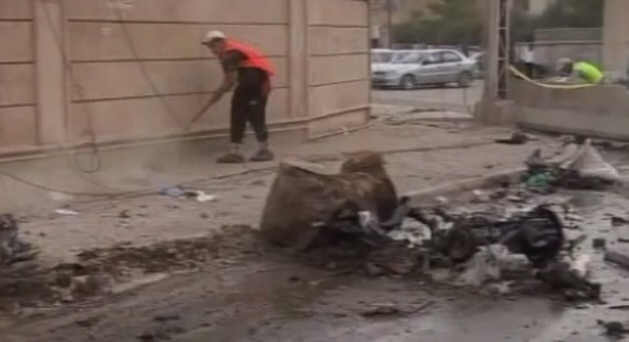 In the latest attack, police said, a bomb attached to a vehicle killed a man and his 6-year-old daughter in Mosul on Tuesday. This posed a problem for the Baghdad woman living in fear. She wanted to go to Mosul where her sister lives. But her sister called, told her about the latest attacks targeting the community, and advised her not to come. 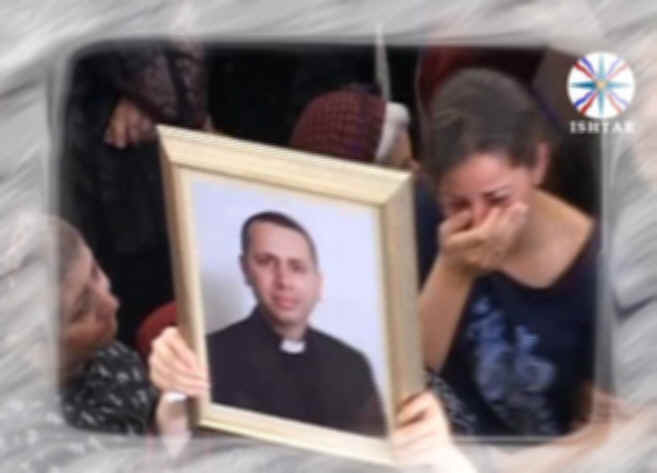 Baghdad, Iraq (CNN) -- A bombing in northern Iraq killed a Christian man and his 6-year-old daughter Tuesday, the latest in a series of strikes targeting the country's dwindling Christian population. AFP - Two Iraqi Christian brothers were gunned down inside their vehicle workshop in the restive northern city of Mosul on Monday, police said. 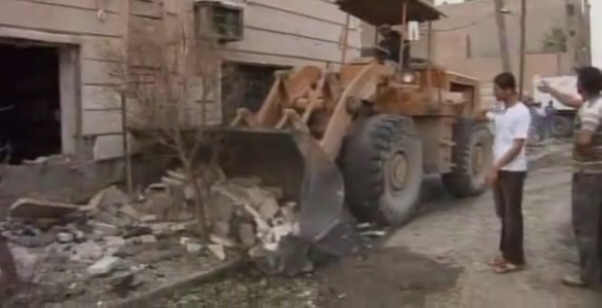 Baghdad, Iraq (CNN) -- Gunmen stormed two adjacent homes in the northern Iraqi city of Mosul late Monday and shot dead two men, the latest in a series of attacks targeting Christians, an Iraqi Interior Ministry official said. 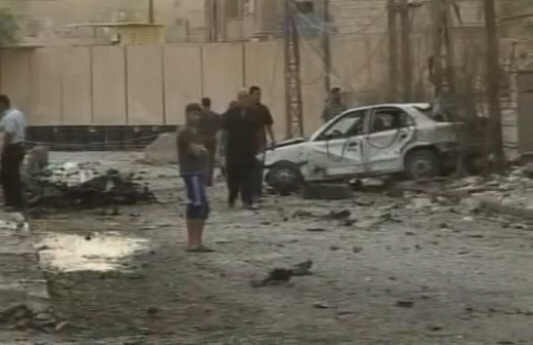 Around the country Monday, at least seven Iraqis were killed and dozens wounded in attacks, according to the official. Some of the worst violence occurred in Mosul, Iraq's third largest city located about 261 miles (420 kilometers) north of Baghdad. On Monday night, attackers went into two homes occupied by Christian families in the al-Tahrir neighborhood in the eastern part of the city, killed the two male heads of the households, then drove off, the interior ministry official said. In central Mosul, about the same time, a bomb detonated outside a Christian's home. No one was hurt in that blast, which damaged the house's exterior. 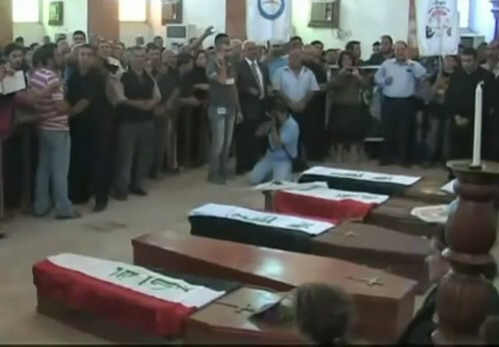 At least three people were killed and 28 wounded November 9 and 10 in attacks targeting Christians, including bombings outside Christians' homes in western Baghdad, an Iraqi interior ministry official told CNN. Also, a group called the Islamic State of Iraq claimed responsibility for the October 31 siege of the Sayidat al-Nejat Cathedral that left 70 people dead and 75 wounded, including 51 congregants and two priests. That violence led the United States, the U.N. Security Council and an American Catholic archbishop to express concerns for Christians and other religious groups in Iraq. Attacks in October 2008 on Christians in Mosul prompted a mass exodus from that city of 1.8 million. Many Christian families in Iraq who spoke to CNN said they feared for their safety and wanted to leave the country, but didn't have the means to do so. 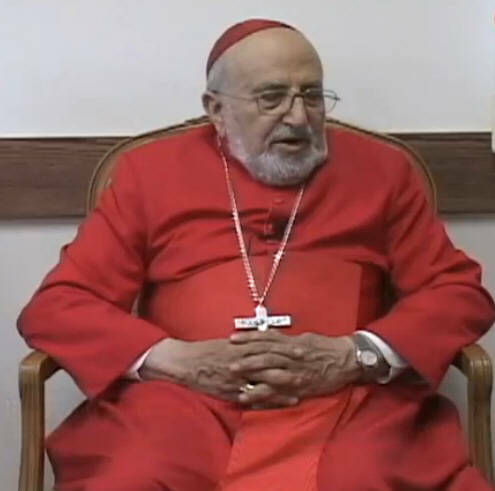 Cardinal Emmanuel Delly III -- the patriarch of Iraq's largest Christian community, the Chaldean Catholic Church -- urged Iraqi Christians in a televised address on Thursday to "stand firm" in their country during these "difficult times." Other attacks Monday targeted government authorities. That included another in Mosul, in which two parked car bombs detonated nearly simultaneously outside a complex that mainly houses prison guards. At least two people -- the prison's commander and one guard -- died in that explosion and another 20 were wounded, the official said. Police officials in Mosul said the bombing took place around noon in the town of Badoush, about 6 miles (10 kilometers) west of Mosul. Local officials said the cars containing the bombs were parked inside the compound when they detonated. The complex is about two-thirds of a mile (1 kilometer) from Badoush Prison, which is one of Iraq's main prisons and holds detainees from across the country, including suspected al Qaeda members. The attack came one day after a suicide car bombing killed at least two Iraqi soldiers in Mosul. In Western Iraq's al-Anbar province, at least two civilian were killed and four others wounded in three roadside bomb attacks in two towns, according to provincial security officials. In the first attack, in the town of al-Qaim, west of Ramadi, a roadside bomb detonated near a hospital, killing one civilian. Also in al-Qaim, a roadside bombing targeting Iraqi police killed a factory guard. In al-Karmah, east of Falluja, a roadside bomb detonated at a police checkpoint, wounding at least four civilians. In Baghdad, two roadside bomb attacks Monday morning left at least one Iraqi police officer dead and seven other people wounded, the Interior Ministry official said. 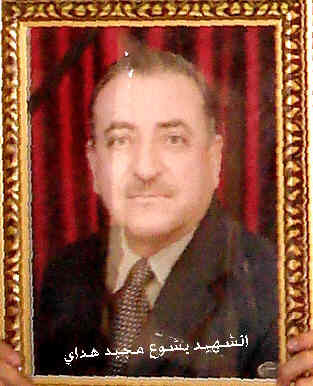 The officer was killed when a bomb detonated at a checkpoint in eastern Baghdad. A second policeman and a civilian were wounded in the bombing. In central Baghdad, a roadside bomb struck a police patrol, wounding at least two officers and three civilian bystanders. Also in the capital, at least three rockets struck the heavily fortified International Zone, formerly known as the Green Zone, on Sunday evening, the official said. 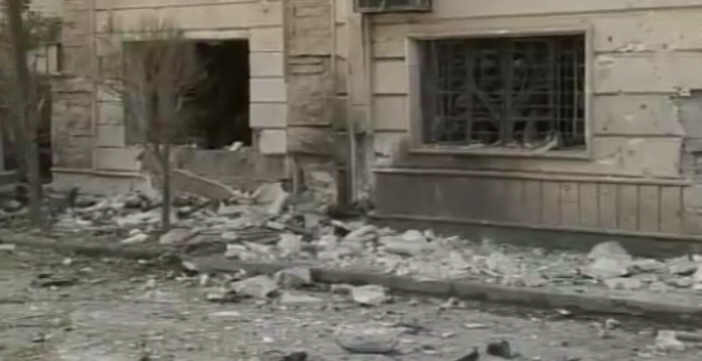 There were no reports of casualties or damages in the International Zone, which houses the Iraqi government headquarters, the U.S. Embassy and other foreign missions. Over the past week, the International Zone has come under rocket or mortar attacks almost daily. While overall violence across the country has dropped compared to the height of the sectarian war in 2006 and 2007, there has been an uptick in attacks since Iraq's national elections in March. Incumbent Prime Minister Nuri al-Maliki is expected to form his new Cabinet and present it for a parliamentary vote of confidence late next month. In a press briefing Saturday, the top U.S. commander in Iraq acknowledged the increase in violence and attributed it to the political situation. "Recently we have seen a rise in security incidents," Gen. Lloyd Austin III told reporters in Baghdad. "We knew that as we approach government formation we would see an increase in activity. We also knew that based upon the way that we template al Qaeda's action here, we were clearly in the window of some further action by al Qaeda. So it came as no surprise to us." Al Qaeda still has the capability to undertake attacks and finance their operations, the general said. "We've taken out a number of mid- to senior-grade leaders out of the network over time, but they've always had an impressive ability to regenerate capability here," Austin said.